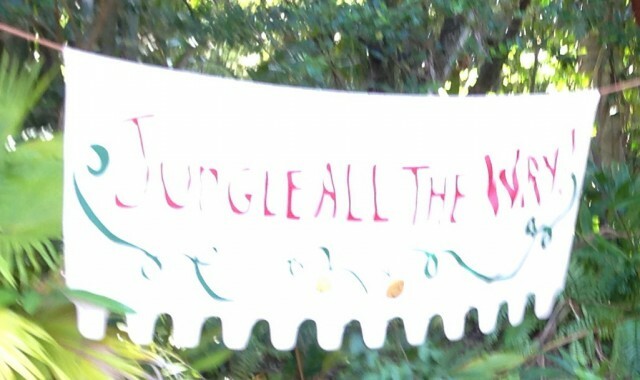 Jungle Cruise | It's "All in WDW"
The Jungle Revealed! Trivia Answered! Did you take a shot at answering yesterday’s trivia, my friends? No? Then, by all means, please stop back HERE to “test” your knowledge. 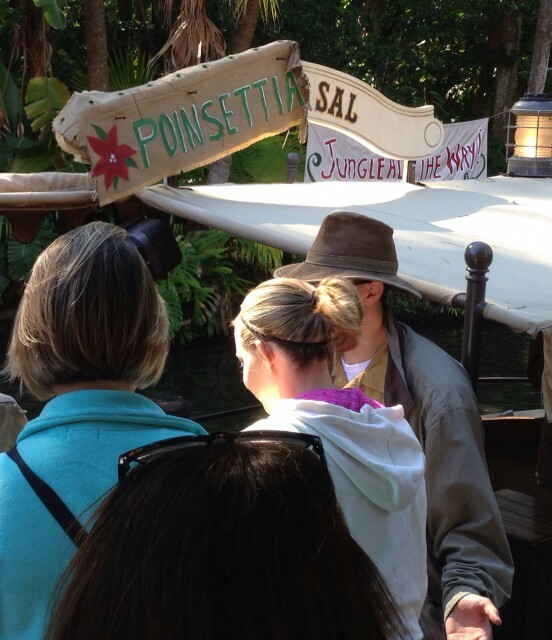 How well do you know the Jungle Cruise? Did you know that one of the inspirations for this great attraction was the movie “The African Queen”? Starring Humphrey Bogart – one of my personal favorite actors of all time – it is a great film! Here’s one more nugget of trivia … Walt originally wanted live animals to line the banks of the Jungle Cruise’s rivers! 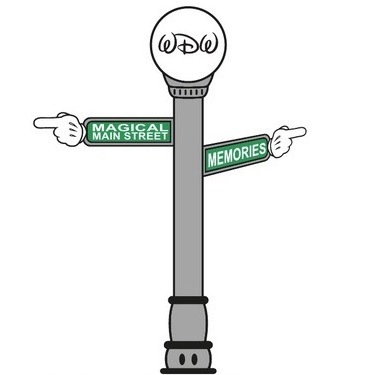 Can you imagine what the attraction would be like if that had been possible? So, how did you do on yesterday’s trivia “test”. Do you feel that you’re a Jungle expert? Could you “skipper” the rest of us up and down the world’s rivers? Let’s see! 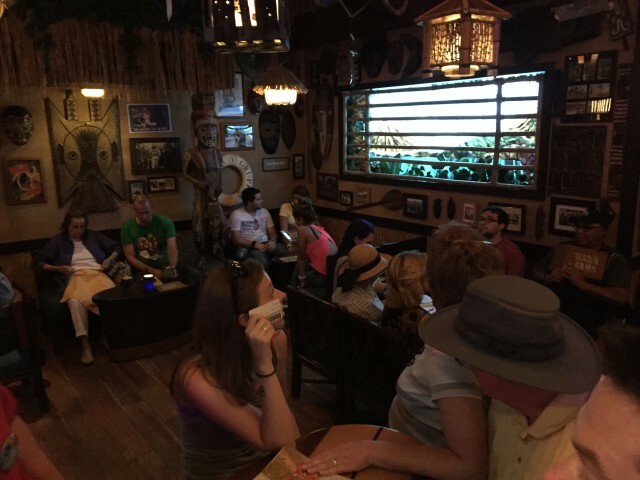 Question #1: “The queue for the Jungle Cruise takes place in the office of the fictional Jungle Navigation Co.
That turned out to be a tough one, folks. Only 17% of respondents got it right. Sorry. I didn’t mean to kick off the “quiz” with such a brain-buster! Question #2: Every boat on the Jungle Cruise has an individual name, but only one of them has ever sunk in the Magic Kingdom. It sank in 2004, but it did return to service. It was the Sankuru Sadie. OK. I confess. I knew that this one would be hard. Only 15% of those who answered chose Sadie. Hey! I can’t make them all easy. We are “testing” our knowledge, aren’t we? Question #3: Which of these statements is FALSE? 1. The Schweitzer Falls marks the transition between the Nile and Mekong Rivers. 2. 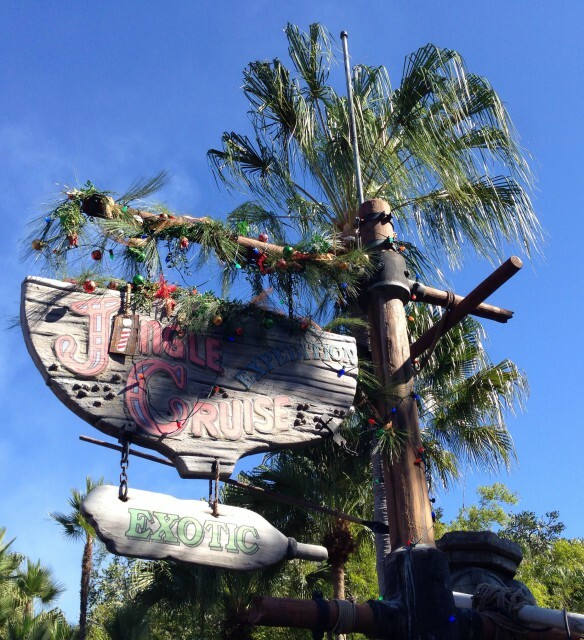 The Jungle Cruise has the lowest elevation of any attraction in the Magic Kingdom. 3. The squid from the film 20,000 Leagues Under the Sea is discreetly hidden in the Jungle Cruise. 4. The attraction was ready and opened on the Magic Kingdom’s Opening Day on October 1, 1971. 47% of you knew that #3 was the false statement, of course. Think of it, though. How cool would it be if the squid from the film 20,000 Leagues Under the Sea was discreetly hidden in the attraction’s midst? Pretty cool. 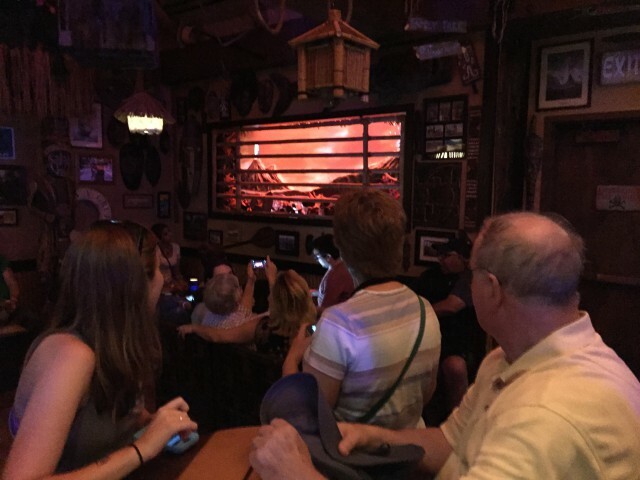 I’ll tell you this … Walt originally wanted to use that squid as part of the cruise. Great thinking, Walt! 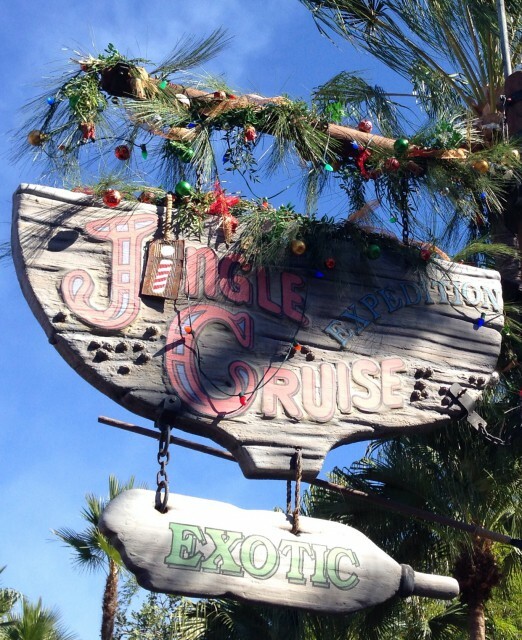 Question #4: The Winter holiday layover, “Jingle Cruise”, first-appeared in 2013. 48% got this one correct. 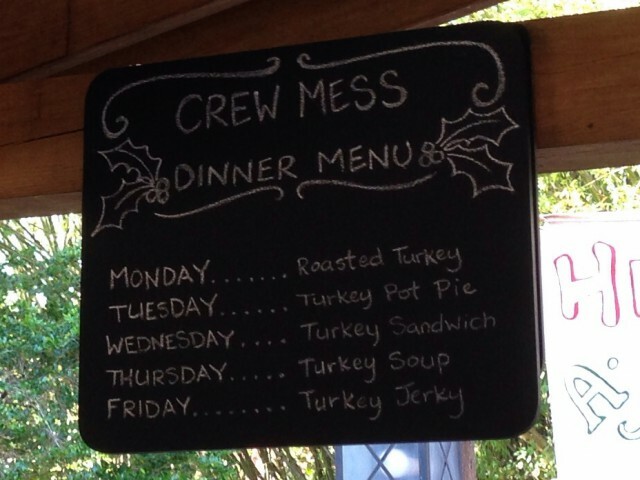 Yes, the holiday overlay (sign pictured above) first-appeared in 2013. It has been back every year since. We’ve gotten a chance to enjoy it a couple of times and highly recommend that you do, too, if you visit Mickey’s World at Christmas-time! Jungle Cruise Trivia! How Well Do YOU Know The Jungle? Good morning, my friends! 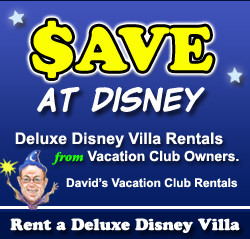 How are things out in your personal slice of the “Disney-verse”? I hope all is well. 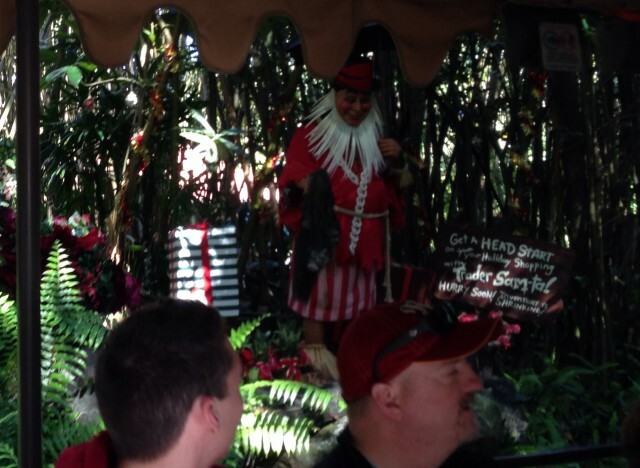 As I’ve mentioned in the past, one of the All in WDW family’s overall favorite WDW attractions is the Jungle Cruise. When I run a Favorite Attractions poll, it always gets our votes. 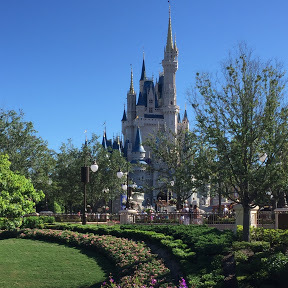 Sadly, however, it never seems to get quite as much love as other Magic Kingdom icons – such as Haunted Mansion, Splash Mountain, and Pirates of the Caribbean. 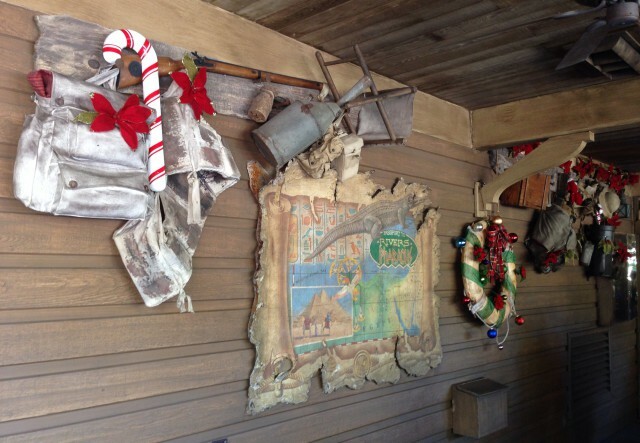 In fact, where that trio finished 2016 as the All in WDW Readers’ Favorite Top 3 Attractions in all of Walt Disney World, poor Jungle Cruise only mustered a 12th Place finish in our Magic Kingdom “competition”. Very sad. 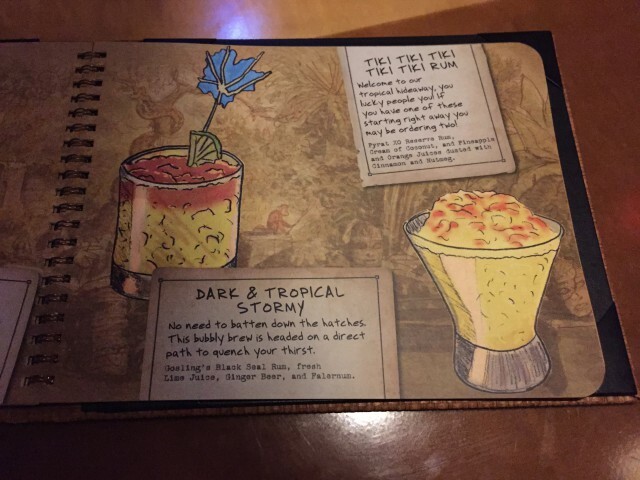 It makes us very happy that Disney, themselves, has paid some additional homage to Jungle Cruise in recent years – with the opening of Trader Sam’s Grog Grotto in the Polynesian Resort as well as Skipper Canteen in the Magic Kingdom, itself. Anyway, I thought we could spend a brief bit of time today sending a little bit of love the cruise’s way with a tiny dose of trivia! 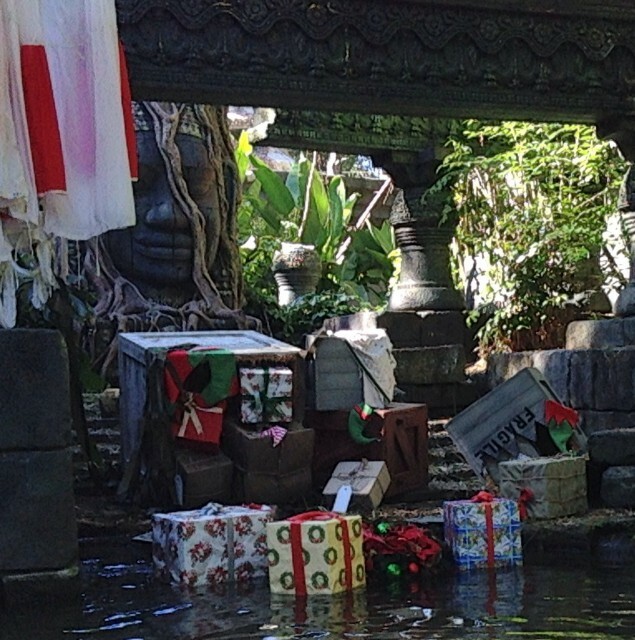 How well do you know the Jungle Cruise? Let’s see! 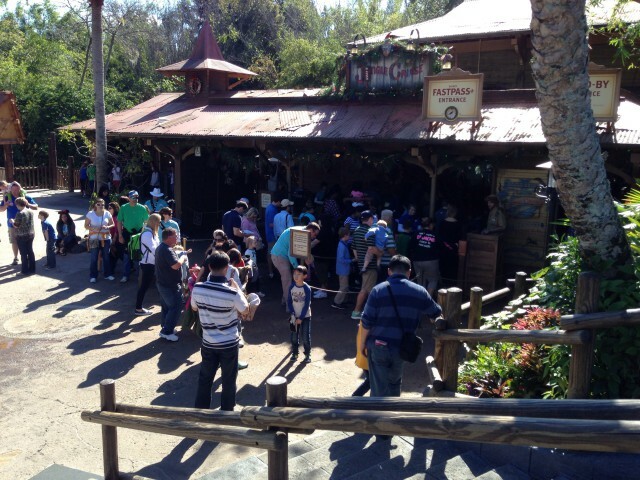 “The queue for the Jungle Cruise takes place in the office of the fictional Jungle Navigation Co. 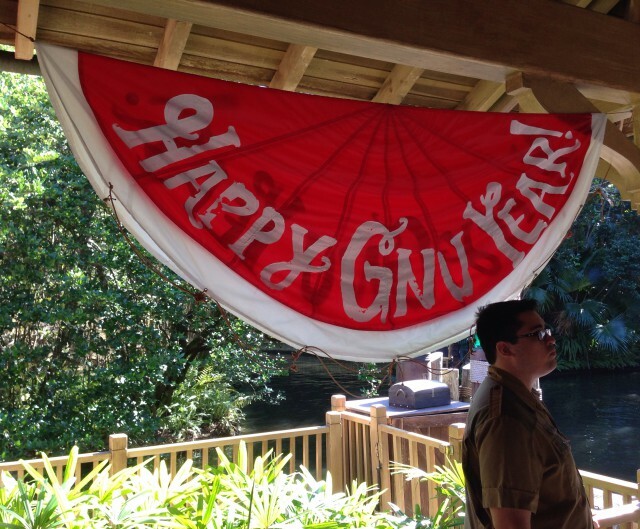 According to a sign in the queue, the company takes guests on riverboats which depart from the Adventureland Dock. 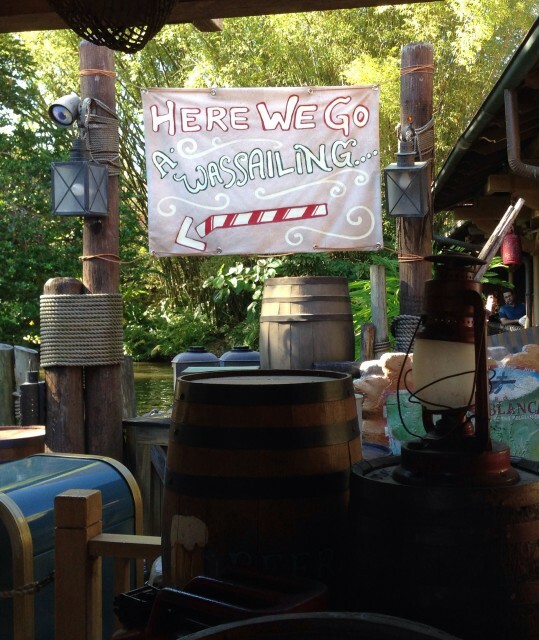 Every boat on the Jungle Cruise has an individual name, but only one of them has ever sunk in the Magic Kingdom. It sank in 2004, but it did return to service. It was the _______________. 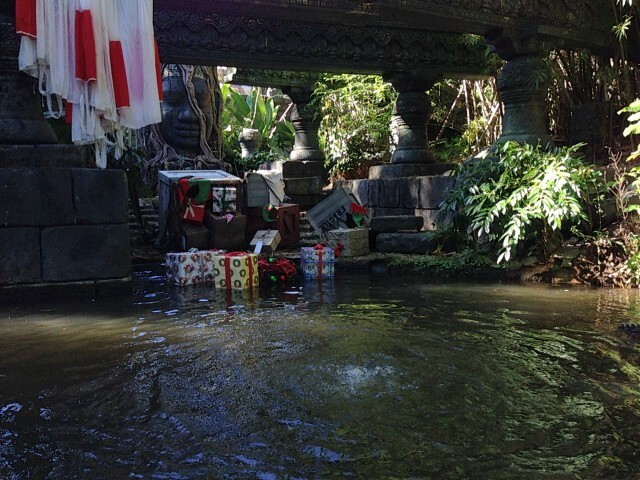 The Winter holiday layover, “Jingle Cruise”, first-appeared in ______________ . Sometimes a post comes around that just deserves a veritable ton of pictures. This is one of them. So, hang on. I got a lot to show ya! 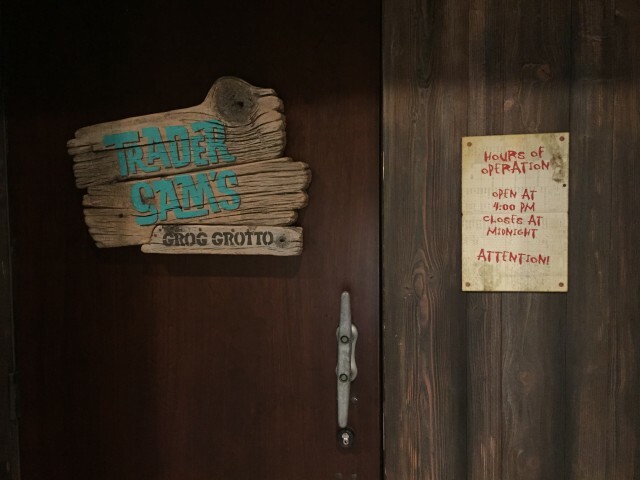 Trader Sam’s Grog Grotto is a destination in and of itself! Why? 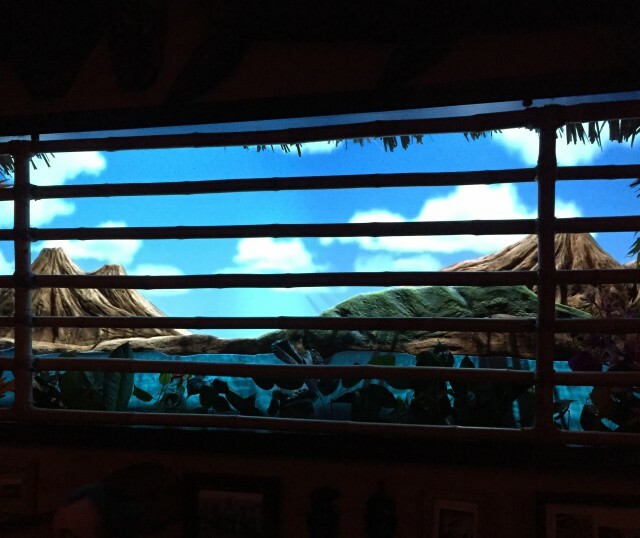 Well, imagine the “pun-filled” grandeur of Jungle Cruise … on steroids … with special effects … in a bar … with refreshments! 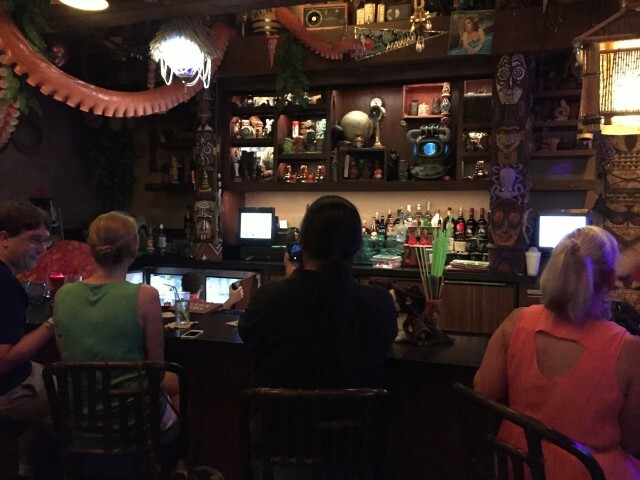 The Grog Grotto is located on the lower floor of Disney’s Polynesian Village Resort … next to Captain Cook’s quick service restaurant. Sam opens the joint at 4:00 PM. We recommend you arrive at least 15 to 30 minutes early, however. 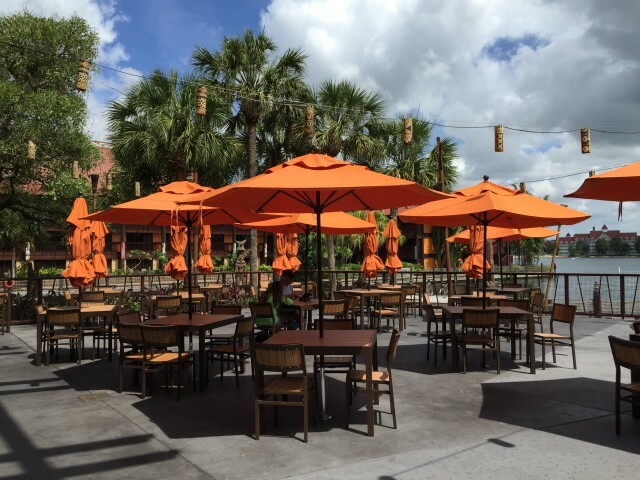 There’s likely to be a line, due to the bar’s popularity, and the fact that the venue only fits 51 guests. 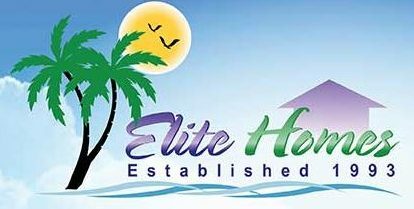 Of course, make very sure to follow the “house rules” while you enjoy the staff’s hospitality. 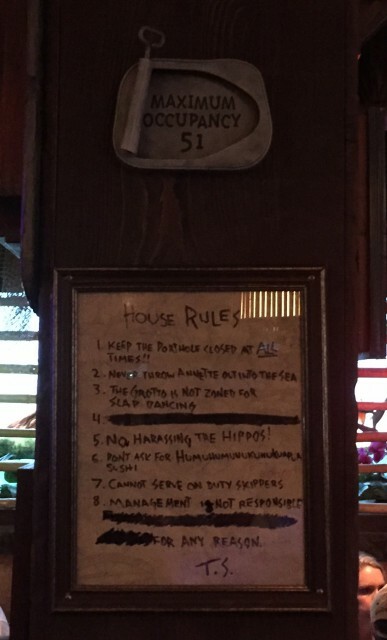 Remember, don’t harass the hippos! You’ll discover that Sam has appropriately themed his pub’s decor. Unfortunately, the lighting isn’t the best – it’s quite dark, actually – but these few shots will give you the right idea. The Grotto offers a full menu of unique beverages. 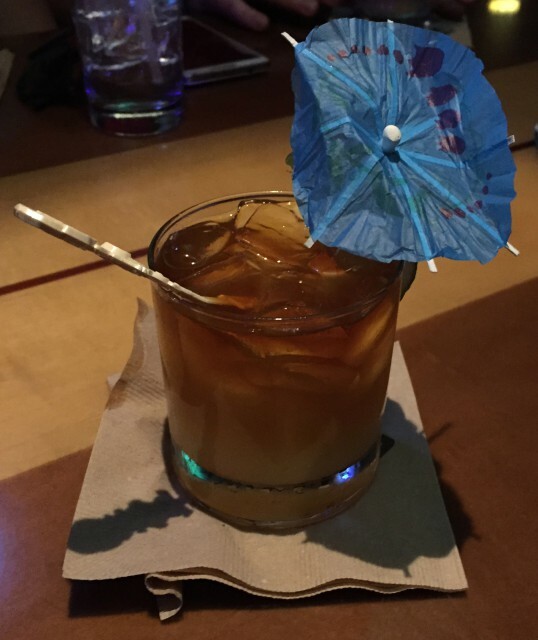 Things like the rum-laden, umbrella-dressed, Dark & Tropical Stormy. 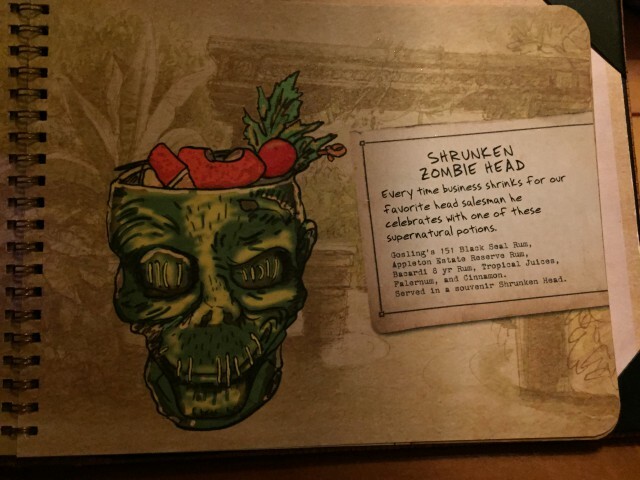 Or, the popular and tasty Shrunken Zombie Head! Three types of rum in this one folks! And, you can opt to keep the “glass”! 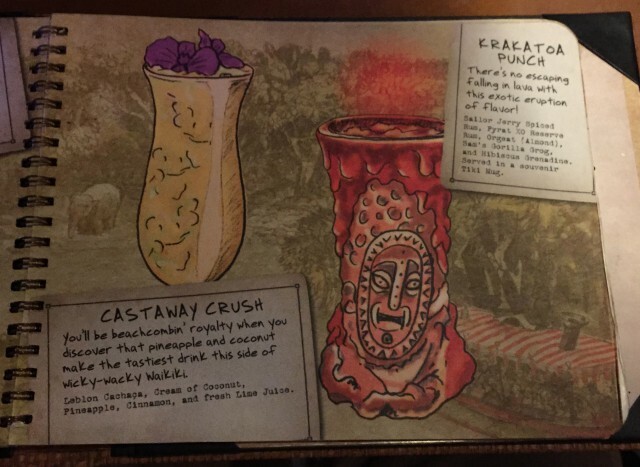 You can try a Krakatoa Punch. More rum, of course! In our opinion, all of the drinks were good but none of them were really all that strong. They were very enjoyable. Then, there’s the food. 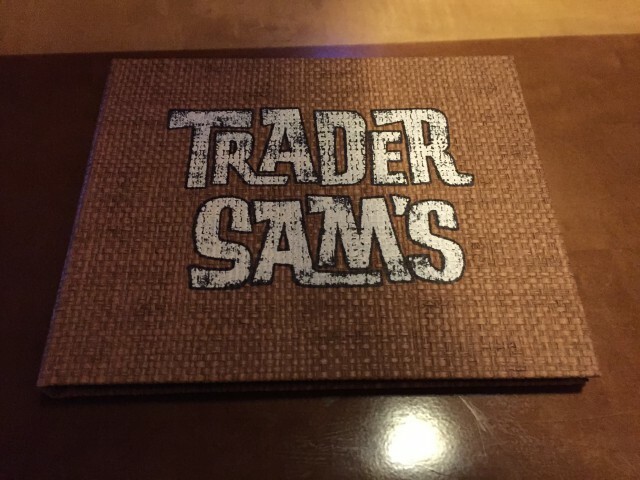 Yes, Trader Sam does offer a limited menu. Take a look! Hmm. What did we sample? Uh, yes. 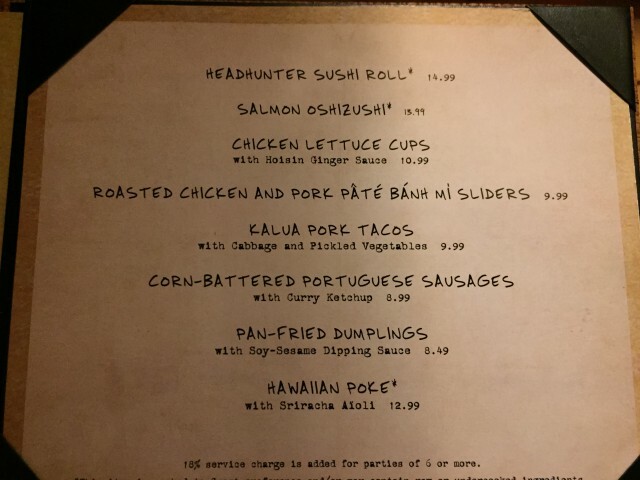 How could I pass on a Headhunter Sushi Roll? Wait a minute! Pink rice? Hey, Sam! 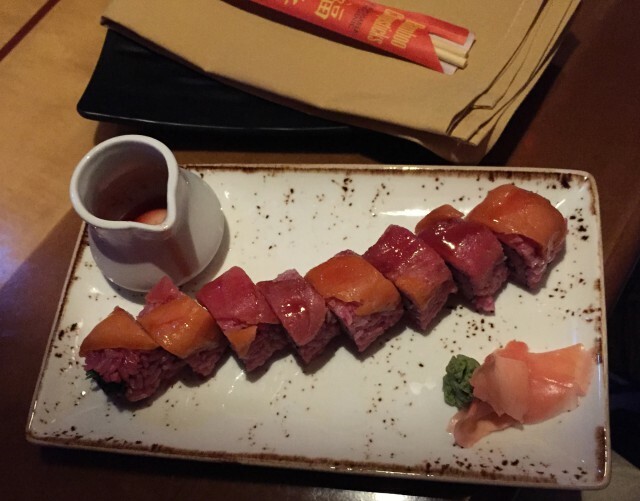 What’s making the rice “pink”? … to violent. Take cover, my friends! It’s an eruption! Finally, you can find Sam everywhere it seems. Can’t get a seat in the Grotto itself? Then, don’t worry. 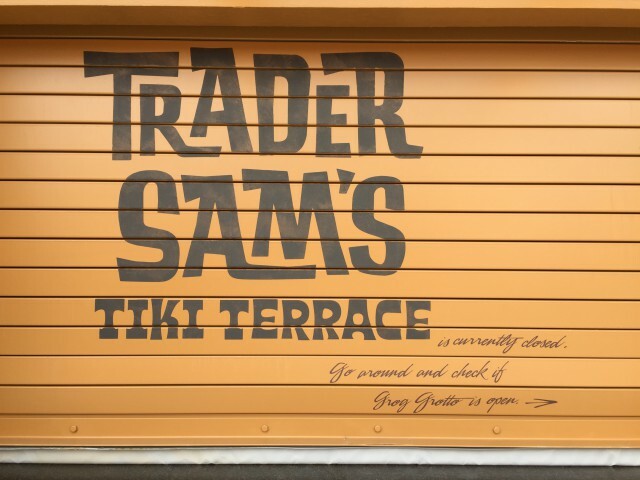 You can visit the trader outside the resort at Trader Sam’s Tiki Terrace! Hey! He even has his own shirt! 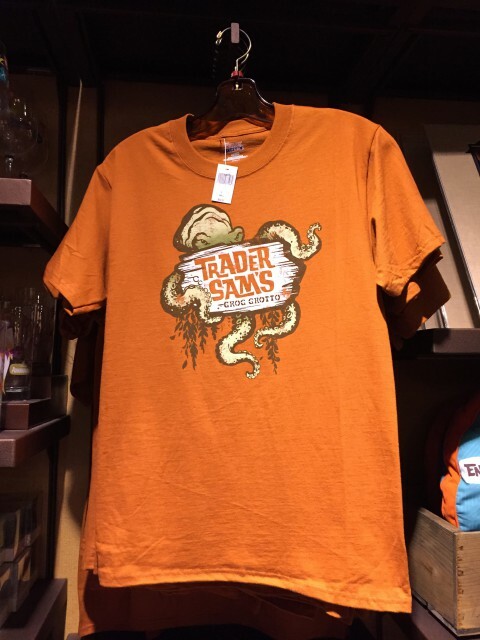 You can buy it at the Polynesian’s merchandise shop – BouTiki. That head-collecting scoundrel is everywhere! 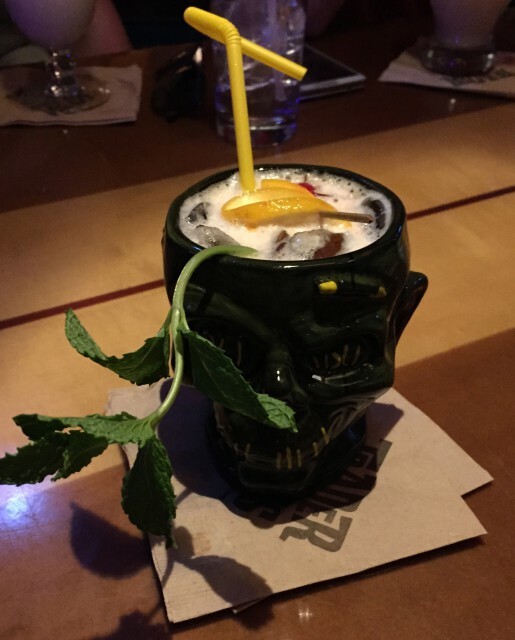 Folks, whether it’s the drinks, the food, or the “show”, you’re sure to have a great time if you visit Trader Sam’s Grog Grotto! Or should I say you’ll have a volcano “blast”?